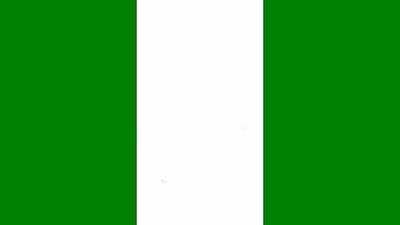 Welcome to the Nigeria Digest. This regular digest focuses specifically on the case of Sheikh Zakzaky and the Islamic Movement of Nigeria. Each digest will contain an overview of current news, an action alert for campaigners and a digest of written, audio and or video resources on these cases. This week the action alert asks campaigners to demand that the African Union intervene in this case to ensure the immediate release of the Sheikh and all of those unjustly imprisoned. Please share this digest and or alert with your interested friends and contacts. 2.Write to the African Union and demand they intervene in this case, firstly by writing to the AU charter body set up to monitor human rights, the African Commission on Human and Peoples’ Rights. A model letter / email is provided. Western Region P.O. Box 673 Banjul, The Gambia. I write with regard to the persecution of the above, in particular the continued illegal detention of Mu’allim Ibraheem Zakzaky, Muallima Zeenah and hundreds of other IMN members. You will recall that even the Nigerian courts held that Sheikh Zakzaky’s detention was illegal at the end of last year and demanded the Sheikh’s release. The fact that he and his wife remain in detention, both in need of medical treatment is a stain on Nigeria. The African Union must take immediate action to ensure that this travesty of justice is rectified. I look forward to your speedy response outlining the actions your office will be taking. After several months of dithering, the Nigerian government has finally set up a commission to investigate alleged rights abuses by the military. Despite reports by local and international groups and media accusing the military of rights abuse in several operations, the government had largely left the military to investigate itself and thus clear itself of the allegations. Yesterday 20/07/17, soldiers of the Nigerian Army were spotted giving cover to labourers hired by the government to fence the plot where our Hussainiyyah (Islamic centre) stood before its destruction by the Military during its genocidal onslaught in December 2015. The Kaduna State Urban Planning & Development Agency (KASUPDA) and its officials however are claiming ignorance of the development at the site when contacted. 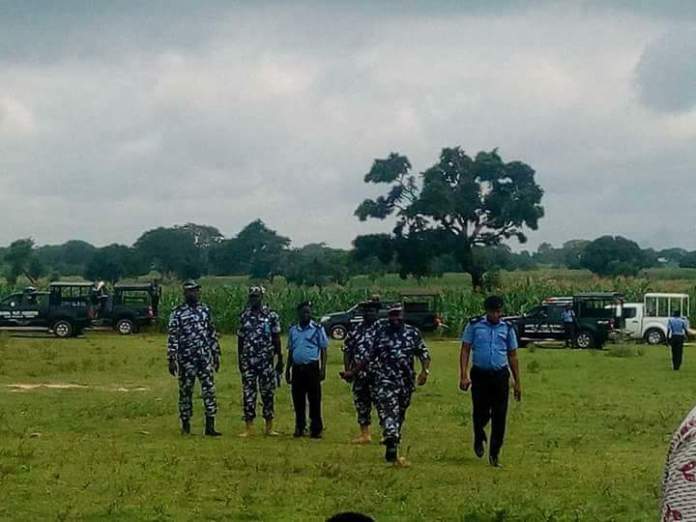 This has fuelled the suspicion that this is a federal government project under the direct supervision of the military, who have harboured a secret desire to usurp the property for so long. We will like to draw the attention of the public and the international community to the fact that the land housing our Islamic centre, Hussainiyyah Baqiyyatullah, was legitimately acquired from those who held title to the property. We have all the necessary duly certified documents and papers to that effect. Although it was unjustifiably vandalized by the unholy alliance of the military and the Kaduna state government under the tutelage of Elrufai, the plot remains ours. Therefore, the federal government has no right to start developing a property that does not belong to it. This is a trespass of the highest order. It is also noteworthy that the destruction of the Husainiyyah complex is part of a current legal tussle before federal courts in Kaduna. Furthermore, the site is a crime site, where extrajudicial murder of hundreds of citizens by the government took place. It is morally wrong for the government to therefore temper with evidence. Evidently, this recent attempt to usurp our landed property is a further deprivation of our fundamental rights. Again, we believe that the attempt at fencing the plot is yet another effort at concealing the atrocities carried out by the Army during the December 2015 massacre. The timing of the construction baffles analysts, as it comes at a time when the Federal Government is reported to be seeking peaceful ways to solve the problems and uncertainty the continued incarceration of Sheikh Zakzaky, our revered leader, is generating the world over. It seems the hawks in government are making a fresh attempt to swat the peace overtures the same government is making on the Zaria genocide carried out by its Army. We will like to remind these hawks that according to the Rome Status that established the International Criminal Court (ICC), destruction of religious site like Zaria Hussainiyya is a war crime. It should be clear that we cannot be intimidated in anyway. We will keep on demanding for our rights as enshrined in the constitution legally and through peaceful protests that we are known with since time immemorial. We once again reiterate our demand for the immediate and unconditional release of our Leader, Sheikh Zakzaky, his wife and all others being detained. Anti-riot Police, Army, Disrupt Shi’ites Annual Remembrance Of Killing of Zakzaky’s Sons, 31 Others In 2014. 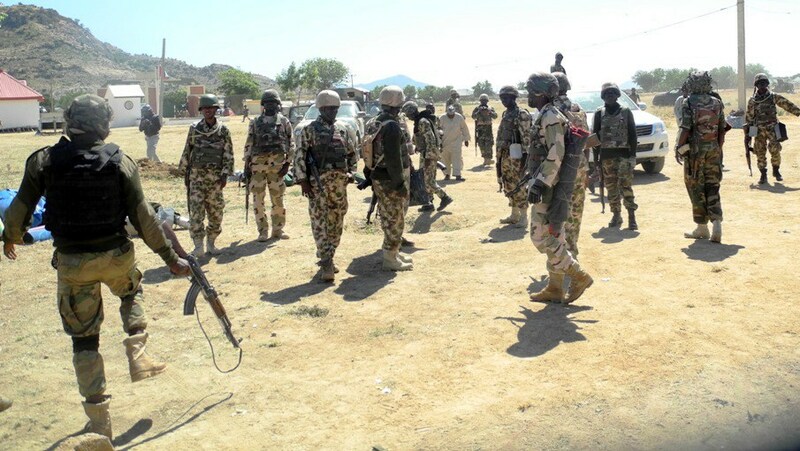 Heavy deployment of security operatives comprising of anti-riot, regular police and soldiers on Tuesday disrupted the annual Islamic Movement in Nigeria (IMN), annual remembrance of the killing of three of Sheikh Zakzaky’s sons and 31 other members in Zaria on July 25, 2014. A year ago, Barr. Femi Falana, SAN wrote to the Kaduna State government to urgently initiate the immediate prosecution of all soldiers responsible for the #Zariamassacre after the state government admitted to the extra judicial murder of at least 347 members of the IMN and secretly burying them in mass grave. Lawyer for the Islamic Movement in Nigeria (IMN), headed by the detained Sheik Ibraheem Zakzaky, has told the Kaduna State government to try soldiers involved in the attack on members of the Islamic group and its leader. Mr. Zakzaky has been detained without trial for about eight months by the Department of State Services in Abuja. Mr. Falana’s warning was contained in a letter addressed to the Kaduna State Attorney-General and Commissioner for Justice. In the letter, he referred to the commissioner’s interview published in the May 17th edition of This Day newspaper in which he was quoted as saying: “Our response was swift, which was shown by the numerous arrests made.” This, said the lawyer, was an allusion to the violence unleashed on members of the sect. “Having limited the ‘numerous arrests’ to the surviving victims of the violent attack who have since been charged with conspiracy and culpable homicide we hereby request you to use your good offices to ensure that the criminal elements who killed 347 unarmed civilians including women and children and buried their dead bodies are arrested and arraigned in court without any further delay,” Mr. Falana demanded. To facilitate the prosecution, Mr. Falana said he is willing to provide a number of facts. First among these, he argued, was that the slain sect members had conducted themselves in a non-violent manner. “In exercise of their fundamental rights of freedom of assembly and expression the members of the Islamic Movement in Nigeria (IMN) staged a peaceful rally in Zaria, Kaduna State on July 25, 2014 in solidarity with the Palestinian people. “In spite of the peaceful nature of the solidarity rally a band of armed soldiers opened fire on the protesters. Out of the 34 people who were killed in the unprovoked attack 3 were sons of Sheik Zakzaky,” Mr. Falana wrote. Second, he wrote, the Federal Government was embarrassed by the unlawful killing of the 34 members of the IMN by the army, a development that made the Nigeria Human Rights Commission to express condolence and tendered a public apology to the bereaved families on behalf of the Federal Government. But despite the official apology, the Kaduna State government refused to prosecute those suspected to have carried out the unlawful killing, according to Mr. Falana. “At the material time, Mr. Nasir el-Rufai publicly condemned the brutal killing and paid a condolence visit to the IMN leader in his residence,” wrote Falana in support of his view. He also stated that on December 12th, 2015 soldiers unleashed mayhem on the members of the IMN alleging that they had plotted to assassinate the Chief of Army Staff, General Tukur Buratai. Mr. Falana says that that allegation is spurious and which was not reported to the police. Rather than report the alleged infractions to the police, Falana said the Chief of Army Staff took the law into his hands by commanding armed troops to shoot at the unarmed civilians in utter violation of sections 33 and 217 of the Constitution, Rules of Engagement for the Nigerian Military and the Geneva Convention. The said attack, he noted, lasted two days. “Though, the leader of the IMN was not present at the praying ground, the army invaded his house on December 14, 2014. He and members of his family including his wife and children were shot at close range. “During the unprovoked attack, three of his children were killed in his presence, while grenades were hurled at his house, which was subsequently set ablaze by the rampaging soldiers,” added Falana. Relatedly, Mr. Falana said on December 15, 347 people killed in the attack were secretly buried in a mass grave in Mando, Kaduna State by the army and abetted by the Kaduna State government, which did not conduct autopsy or DNA tests on the corpses before the mass burial. Then on December 23, 2015, officials of the Kaduna State Urban Protection Development Authority (KASUPDA), under the supervision of military authorities, demolished the graves of deceased members of the sect at Darur Rahma Cemetery, the sect’s newly acquired property adjacent to the Husainiya, a former NTC building; the Fudiyya Islamic Centre; and Zakzaky’s family house at Jushi quarters of Tudunwada ward, where his mother was interred. This was followed up on January 29, 2016 with the setting up by Governor el- Rufai, of a judicial commission of inquiry to investigate the crisis and make recommendations to the government. Members of the commission were drawn from the army, police, DSS and civilians, including those who had, through public statements and writings, called for the proscription of the IMN. Mr. Falana proceeded to argue that the Kaduna State government ignored the protests of the human rights community that the commission be reconstituted by removing members who be biased against the IMN. “Although, Section 36 (1) of the Constitution stipulates that a court or tribunal shall be constituted in a manner that its independence and impartiality shall be guaranteed, the Kaduna State government ignored the demand of the human rights community that the commission be reconstituted by removing the members who have always nursed animosity towards the IMN,” he wrote. Despite inviting Mr. Zakzaky to testify on behalf of the IMN, Mr. Falana contended, he was prevented from doing so by the DSS which ensured that the commission was only permitted to take evidence from those who have an axe to grind with the IMN. The situation, posited Falana, yoked the commission with a problem. “Upon realizing that its findings and recommendations might not enjoy credibility, having not been allowed to observe the elementary rule of audi alteram partem, the commission made frantic efforts to persuade the legal team of the IMN to participate in the proceedings. “We were unable to accede to the request of the commission since it was unable to direct the authorities to release our clients from custody to tell their own side of the story,” he wrote. He stated that on account of its contempt for the judicial commission, the Kaduna State government filed charges of conspiracy and culpable homicide against over 250 members of the IMN at the Kaduna State High Court. “The suspects, who are alleged to have caused the death of one Corporal Yakubu Dankaduna during the military invasion, are languishing in prison custody while awaiting the legal advice of the Kaduna state Director of Public Prosecution,” noted Falana. He similarly noted that though the Secretary to the Kaduna State Government, Alhaji Lawal Balarabe Abbas, confirmed the massacre of the 347 people by the Army, the perpetrators have not been prosecuted and have and went ahead to bury the victims in mass graves. “In the light of the foregoing we have the instructions of our clients to request you to prosecute the members of the Nigerian Army who took the law into their hands by unleashing mayhem on unarmed civilians in Zaria, Kaduna State from December 12-14, 2015. Specifically, you are requested to charge the suspects with conspiracy, will full damage to property, arson and culpable homicide not later than July 31, 2016,” said Falana. Copyright © 2017 IHRC, All rights reserved.